This entry was posted on March 6, 2016 by Tinteán Editorial Team/EMcK, in diaspora, emigration, History, Irish Culture, Popular Culture, reminiscences, Travellers' Tales and tagged Emigration, history, Irish Ancestry, Irish culture, irish diaspora, Irish history, migration. Bookmark the permalink. Many readers of Tinteán will already be familiar with Ireland Reaching Out (IXO), a not-for-profit organisation established with support from the Irish Government. The IXO mandate is to engage the Irish Diaspora worldwide, and in a rather innovative way; not just waiting for people to visit Ireland to trace their roots, IXO employs the simple and clever approach of ‘reverse genealogy’. The organisation has built a network of connections with parishes and an army of volunteers across Ireland, all with the single focus of proactively assisting people of Irish descent worldwide to connect with their roots in the Irish place/s their ancestors lived. 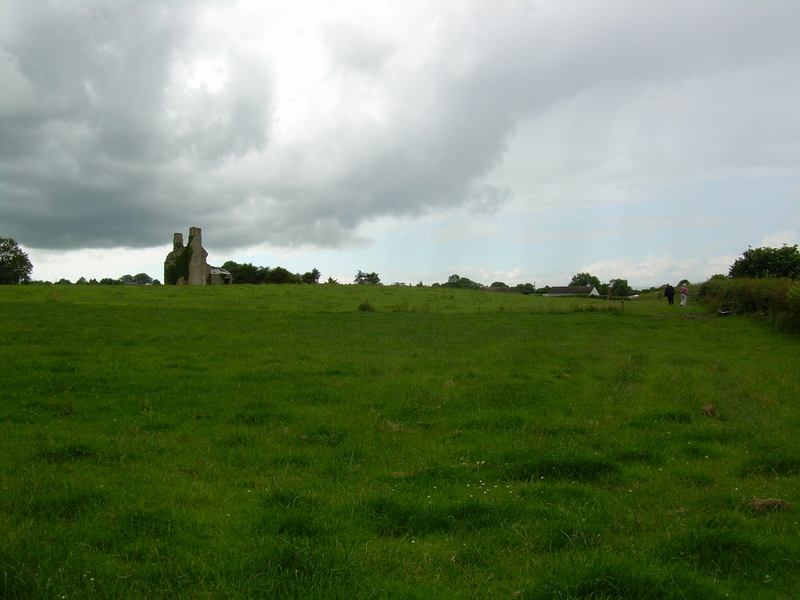 For people visiting Ireland and interested in discovering more about their ancestral homeland, the website www.irelandxo.com offers a page for every parish, connections with local volunteers, plus resource links and tips. Even if you don’t know the home parish of your ancestors, there are message boards where you can post queries and many people share helpful hints of their own search. IXO volunteers in the parish of your ancestors are a friendly face and great source of information and advice; with valuable local knowledge, guidance for the best sources of local research, some may be able to bring you to the actual place where your ancestors lived, or even help you find a distant relative in the local area. And it is all FREE! My own family was lucky enough to benefit from this support when my mother recently visited Ireland. Local volunteer Tom Hussey, recently a finalist IXO Volunteer of the Year, generously took her to visit the lands of her great-great-grandparents in County Laois. For the first time in her life, my mother was able to stand on the very land her ancestors farmed and, while no house remained, Tom Hussey’s remarkable local knowledge enabled my mother to walk the same path along an ancient hedgerow that her ancestors had trod a century before. She souvenired a small pebble from the path, took multiple photographs, asked endless questions, and left with memories of a lifetime. Further afield, the role of an international volunteer for Ireland Reaching Out is to help build the IXO connection with the local Irish Diaspora and facilitate partnerships; in my case, the Immigration Museum Melbourne and the Irish Famine Orphans Heritage (IFOH) group of Williamstown. At a recent commemoration event by the IFOH group, I was invited to set-up an IXO information stand. Many people attending the event were planning trips to Ireland in 2016 and keen to explore the IXO website portal to learn more about local volunteers, research opportunities, and the parishes their ancestors left to come to Australia generations ago. Today over 30 percent of Australians claim Irish descent and the path to exploring one’s Irish roots has become an increasingly popular pursuit. Often fleeing famine, poverty or oppression, the Irish have carved a unique place in the history of countries across the world and helped to build and shape a new place to call home. Now Ireland Reaching Out looks forward to helping the descendants of those brave pioneers reconnect with the place their ancestors once called home.